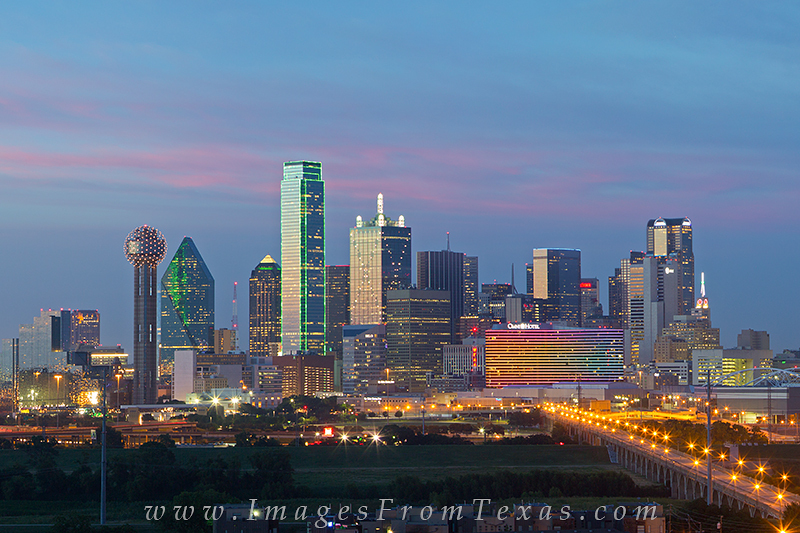 This skyline photograph of Dallas, Texas, shows many of the well known highrises including Reunion Tower, the Bank of America Plaza, the Omni Hotel, and the CoAmerica Tower. The old Trinity Bridge leads into downtown. Photo © copyright by Rob Greebon.